[toc]There are instances, when a person has to face serious repercussions all of a sudden. It is not what we categorize as diseases or illnesses but it is more of a sudden accident that leads to hurts and wounds in the body. Physical accidents can also be in the form of bone fractures and in many cases tearing of the muscles. One of the main causes of a torn muscle is that of too much stress on the particular area that leads to wear and tear. However, there are different degrees to which this can go. In the extreme cases it is always advisable to immediately see a doctor who can give medications to treat the problem. On the other hand, if the tear is not much, you can also adhere to certain simple tips and remedies to treat the muscle and get it back to normal.However, make sure that whichever treatment that you use is well researched and reviewed to give the best results in hand. This guide below saves you the effort and gives you all the best remedies and tips under the same roof. Check them out and make a pick to get perfect treatment to the painful torn muscle and get back that comfortable life. One of the best things that is in your hands to perform and leads to proper treatment of the torn muscle is that of application of cold compresses. This can either be in the form of an ice bag or the ready cold compresses bags available in the market. It should be a session of about 20 minutes, 2-3 times a day until the crisis is completely treated. 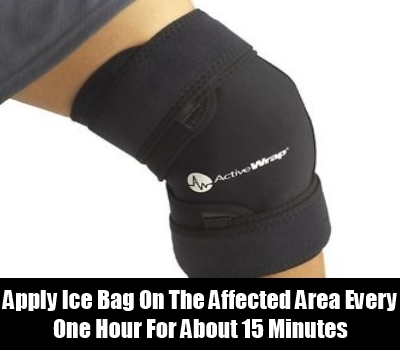 In very severe cases, it is advisable to apply ice bag on the affected area every one hour for about 15 minutes. This is not only going to reduce the inflammation but also the pain and discomfort associated with the injury. Though it is not at all recommended that you put pressure on the torn muscle, it is advisable to wrap the area gently with a crepe bandage. It should be raised more than the heart level to ensure that there is less flow of blood in the area that can actually lead to clots. You can open it for fresh air from time to time but keep it covered till the injury is 100 percent treated. 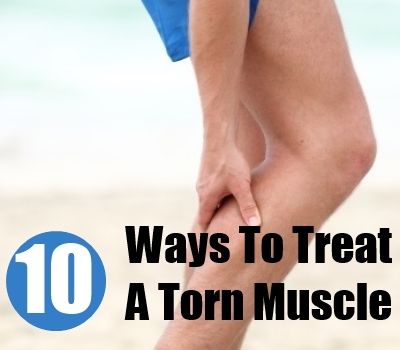 The pain and discomfort associated with a torn muscle is unbearable in many cases. There is nothing better than taking proper bed rest to enhance the treatment process. Making movements can actually worsen the situation further. It is best that you make gentle and limited movements throughout the day. The leftover time should be given to proper sleep and rest to ensure faster recovery. 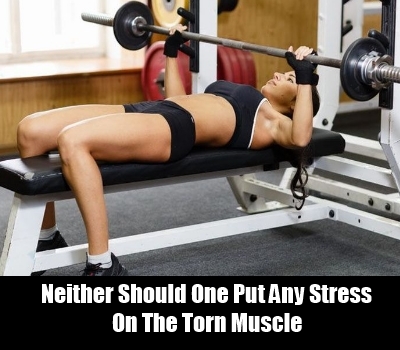 Neither should one put any stress on the torn muscle and nor should they pick up heavy objects. This is not at all advisable in the case of muscle tearing. On the other hand, it is a proper tip from the professionals that one should completely avoid using the torn muscle for a couple of days for proper treatment. This should be followed strictly till the person feels completely alright. 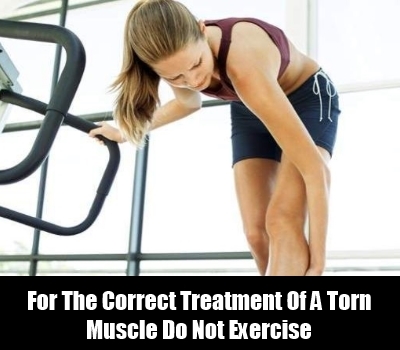 For the correct treatment of a torn muscle it is better that you do not exercise for at least a week. This is one of the best methods in which the treatment process can be enhanced. Make sure you do not adhere to any sport activities as well. This is a treatment tip that if followed with strict guidelines can definitely help in the recovery from the pain of a torn muscle as soon as possible. Looking for the right method of treatment for the painful torn muscle? A treatment tip that is going to help you in this case is to avoid rubbing or massaging the area. This is a stereotype among people that if the area is massaged the problem can subside. This is possible in normal pains but not when there is a muscle tear issue. Make sure you use no lubricating oils to massage or rub the area which will only worsen the case. This avoidance tip will give good results for the cure. 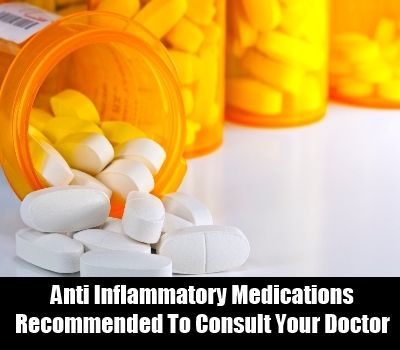 In case of severe pain, it is always recommended that you consult your doctor and ask them to advice some anti inflammatory medications for the torn muscle. Taking the right dosage for the time period that has been advised will definitely help in the treatment of the muscle wear. Make sure you do not take an over dose as it might lead to side effects. Herein, consulting a professional is the best thing that should not be ignored. A little bit of stretching of the affected area is recommended by therapists and professionals when it comes to torn muscles. This is one of the best ways to ensure proper treatment as well as to reduce the pain. However, it should be very slow if you do not want the pain to worsen. Overdoing of stretching exercises will only lengthen the treatment of torn muscles. 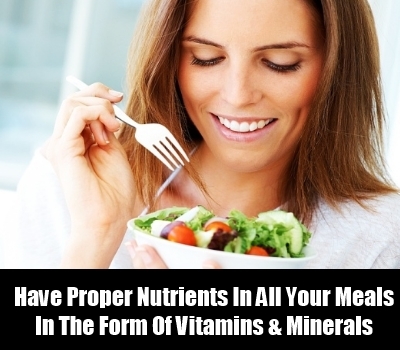 Have proper nutrients in all your meals in the form of vitamins, minerals and protein. These will help in the repair of the tissues and the muscles as well as strengthen the immune system well. This should be followed each day even after the problem is treated to ensure that you have much stronger muscles and bones to avoid the problem in the future. Application of heat might be a perfect thing to in situations when you have muscle strain but it is not at all advised to opt for heat pads and warm compresses in the case of torn muscles. Make sure you do not make this mistake. Keeping away any warm surface or pads from the affected area is definitely one way of treating the muscle tear.